Bad Penny: Draw a circle. My favourite places would be circled, sometimes with hearts or highlighter. It was a real boon for map circles the summer my family jumped on a bus and rode it all around Europe. But I'm not sure I ever thought of circling Atlanta. What was home, back then, was just the standard, the jumping off point, the place to leave behind in my dust. Since I've been away, though, I seem to have grown a sort of hollow and invisible extra heart. 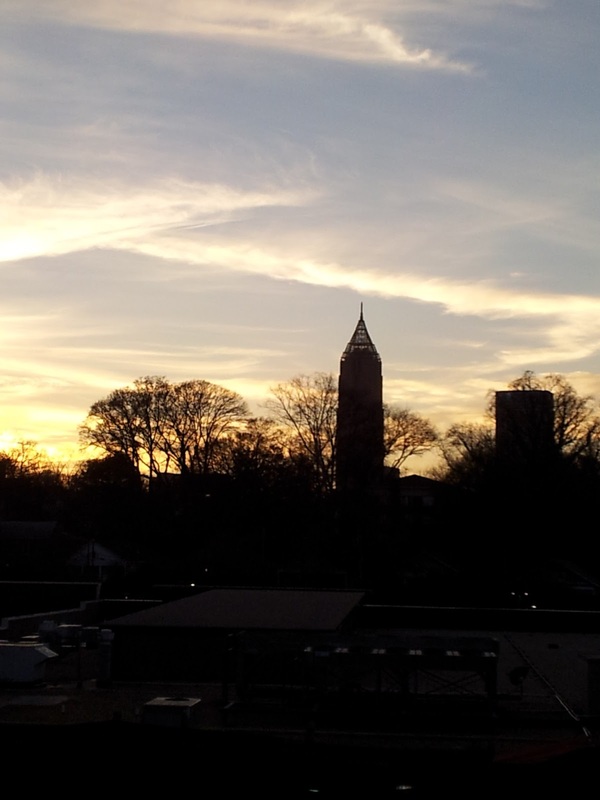 It's formed of sheer nostalgia for Atlanta, and it only beats for that strangely quiet and sparse city. And as everyone knows, once you leave home, you can't really go back. We've all changed too much, and someone filled in the space you left, and there won't be room for you when you return. Or there will be room, but it won't be your room. More like the guest room. 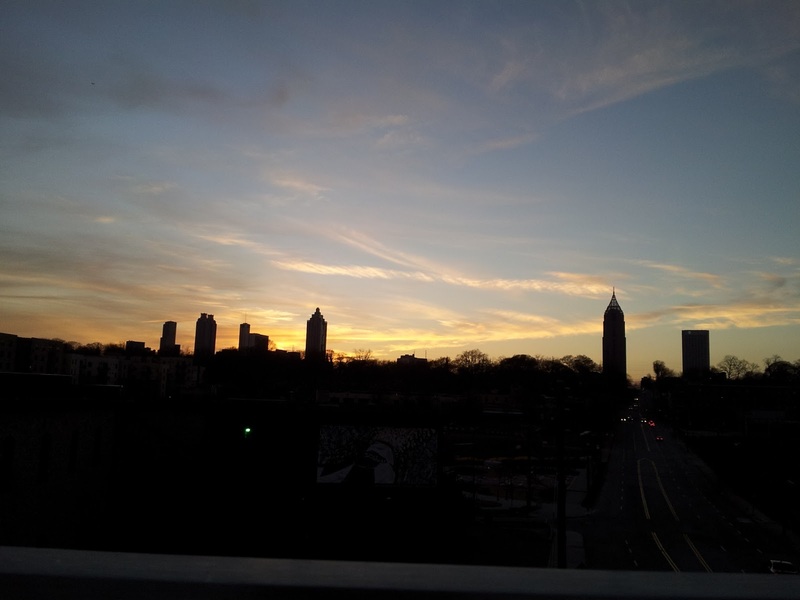 I first heard about the Atlanta Beltline years ago, when I was still living in Decatur, working in a coffeeshop and wondering how I would ever get out of Atlanta. 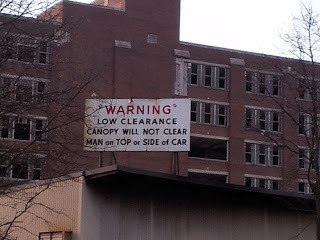 Originally, a Georgia Tech student's thesis, the Beltline back then seemed like the wisps of a dream, too beautiful to hold on to. It could never really happen. The idea was to use old light rail track that was still in the ground around the city as the backbone of a continuous park that would connect Atlanta's sprawled neighbourhoods by walking/cycling track & public transit. Currently, these neighbourhoods are only connected by roads. Atlanta's public transit system, MARTA (it's smarta! ), attempts to join up the city, but it fails on both expense and sheer distance. It's a half hour walk from a MARTA station to the Virginia-Highlands district. The Beltline is imagined as circling through and around Atlanta's neighbourhoods, but also creating new park spaces, and presenting new public art to the city. Some of the walking/cycling track sections are already finished, and I visited with Allen and Lance on a crisp afternoon (once again, congratulations to Lance for finally putting a ring on it, and to Allen for saying yes!). 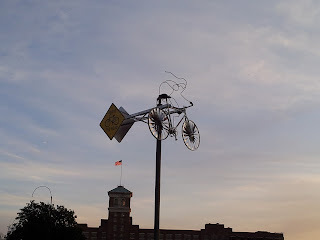 Public art by Alex Rodriguez. In the background, you can see City Hall East, and for the first time, I was eye level with the fifth or sixth floor. The Beltline project doesn't have much funding, so it might never happen in full. And it's disappointing that a proposal for a small tax increase to build the streetcar lines failed last year. But what's happened so far gives the city such a new way of being, I can't really imagine how great Atlanta could be in 15 years. On the walking track that day, I found myself breathless at seeing so many new perspectives in a city that I always thought I knew a little too well. A stunning sunset falls below the skyline. And strange signs pique one's curiosity. When I still lived in Atlanta, I couldn't wait to get out. I spent years wishing I'd just bitten the bullet, ignored my parents and gone to school in NY. I was so sure Atlanta was this 2nd rate town and would never change. And just a few weeks ago, I walked along and came across so many people, strolling, jogging, playing with their kids and cycling through a part of the city that was once just scrub and fencing, I realised that while my back was turned, Atlanta had changed. Here was a place to hang out with people, without cars. Here was a place for community gardens, for art and, really, for people. What I thought was this half-assed excuse for a city had just done this amazing, beautiful thing. I was stunned. And when I got home, I traced the map of the Beltline, just to see where it goes. The Beltline did what I should have done, years ago: it drew a circle around my favourite place. ** Apologies if this post comes off a bit overly weepy and nostalgic. I've only been back in Manchester for about a week and I'm really sad about not being home and not being with my family. What are JM certificates? Can't wait to see y'all again!